Bake Craft & DIY: Frozen Berries and Yogurt "Ice Cream"
It's getting hot, and ice cream is great on hot days. 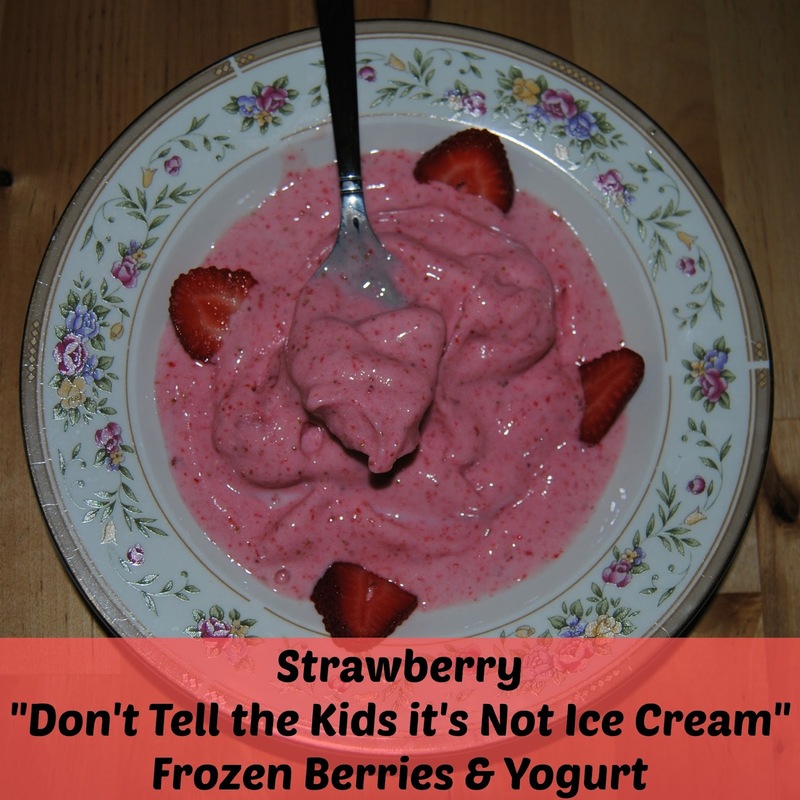 To keep it healthy for my toddler I make strawberry "don't tell the kids it's not ice cream" frozen berries and yogurt. If you have a processor this healthy "ice cream" is fast easy and delicious. Just add frozen strawberries plain or with other berries and some yogurt, we used vanilla, and process into ice cream. If it's to thick or more of a Dippin' Dot texture add a little milk. 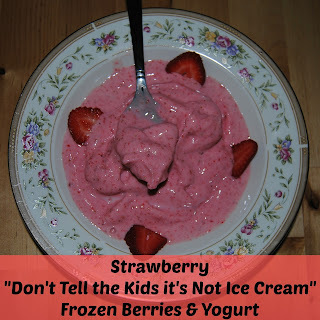 I love this recipe because it uses frozen strawberries, whenever they go on sale I buy a lot and freeze them, and when we are ready we make this, strawberry topping, or smoothies. What do you use frozen strawberries for? What a great sweet treat that is actually healthy! 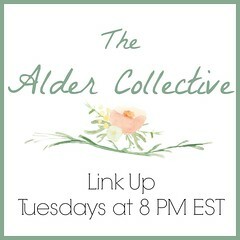 I am going to have to check this out soon.